Sender ID is your identity from which the message is sent. For example, when you receive a general SMS from your friend, their name is displayed. Similarly, in case of Sender ID, the ID that you choose on the panel, or the one that is given to you, serves as your identity while sending messages. 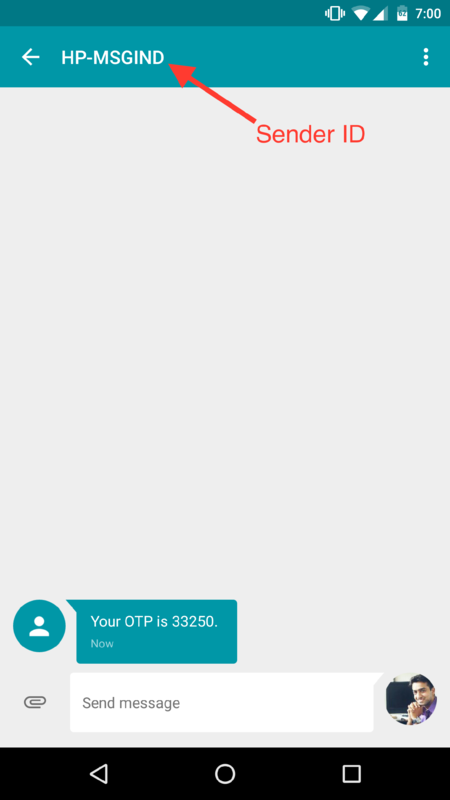 Sender ID for Transactional SMS: is 6 character, alphabetic in India, example NOTIFY, MSGIND. For other countries, sender ID format may vary according to the rules of a particular country.